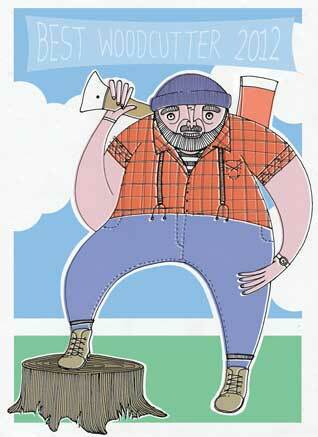 Nicola Porter is a recent Illustration graduate from the University of Lincoln. Nicola uses a range of ink mediums including such as dip pen, fine liners and Indian inks. She endeavours retain a real hand drawn quality to her work; part of the reason the work emits so much charm. Charm however, isn’t the only reason why this poster made it into our esteemed winners circle. Woodcutter is about the effort and amount of time consumed during the journey to winning. Great pride and self-fulfilment are sometimes the better prize than the winning itself. We loved the idea of the less celebrated amongst us being provided a platform for our hard work and endeavour. 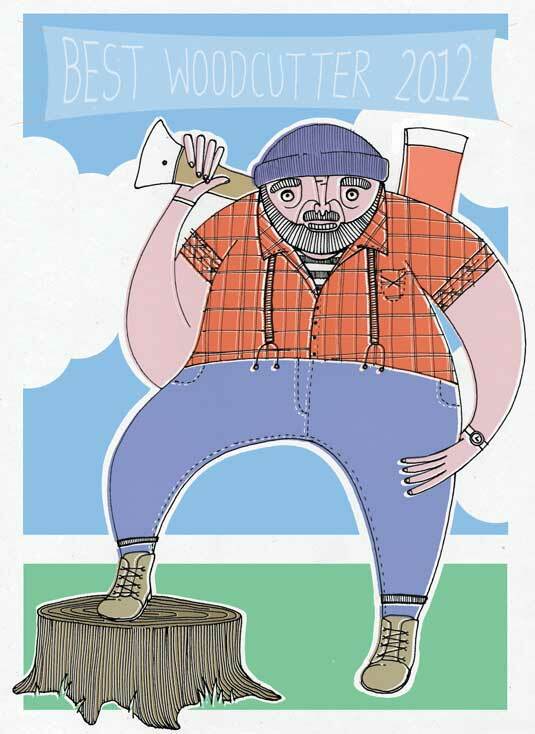 Be it woodcutter, Olympian or talented illustrator from Leeds.